Landscape the gardens of the Alhambra by planting orange trees, lemon trees, palm trees and lavender trees. The playing tiles lie in front of you. Each one shows four different kinds of tree, with varying numbers of each tree. Plant your trees skilfully so that you surround as many buildings as possible. And remember that some buildings are more valuable than others: a tower is worth more than a seraglio and chambers more than the arcades. **Note : Not a Expansion! 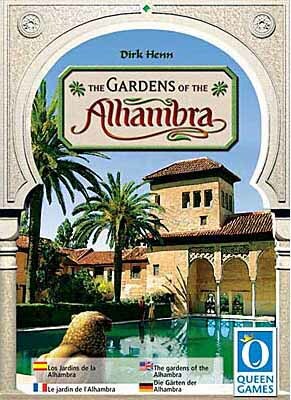 The Gardens of Alhambra is a stand alone game.